Things have stabilized this week. The friend I mentioned last week was apparently the victim of a small silent stroke. It will take time, but he will recover. This week, I would like to post the start of s short story. Unfortunately, it’s not a short, short, so it will take a series of segments. Sorry, but it’s one I really want to present to my readers. The readings are longer than usual but bear with me. I hope the payoff will be worth the effort. I herded the Toyota Rav4 up a narrow mountain track as quickly as the weather and road conditions permitted in order to arrive at the Misíon del San Pedro de las Lomas before darkness fell. The little church called St. Peter of the Hills sat isolated in a small valley smack dab in the middle of mountains. The rain that had pestered me virtually all the way, ceased as I entered the glen. My first view of the mission containing two frescoes I’d been hired to restore came through a wispy fog in rapidly failing light. Although this House of God was small, reminding me of a Penitente morada, it loomed large above the Toyota as I sloshed to a halt nearby. The color of mother earth with two stubby campaniles that had never seen bells, the building could have been a monolithic, cross-crowned boulder hurled from a long-forgotten volcano. The only other structure in the dell was a small adobe shack just west of the church, my home for the next few months. Ignoring the damp chill of the rain-soaked mountains, I set to work making my quarters habitable. Firing up the gasoline generator left for me to provide heat and power, I quelled the urge to enter the mission and swept and dusted the shack, instead. When I finally went to the Toyota for my personal luggage, I froze with the car door half open. The rain started again, gently plastering my hair against my skull. My flesh puckered. A chill swept my back. My eyes frantically roved back and forth. Someone, something was there. There by the church. In the deep recess sheltering dark, crudely-carved doors. A shadow. “Who’s there?” My shout echoed hollowly through the sodden twilight. “I’m Teo Oxley. I’m here to do the restoration,” I called, my voice falling away at the end. The thing stood mute. Motionless. Could it be a shadow? Grabbing a flashlight out of the glove box, I started forward. Fifty yards from the church, my nerve failed. I stood in the rain, water rolling off my shoulders, trembling from cold and fear. 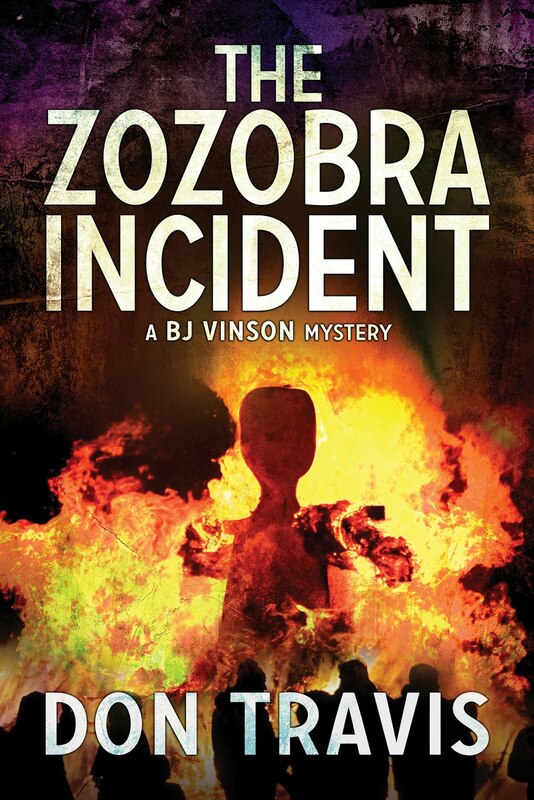 As I watched, the shadow edged out of the recessed doorway and slipped around the corner of the building. Its flight released me from my paralysis. I knew before reaching the corner he would be gone. I was right. There was nothing there. No one and no thing. Spinning awkwardly in the mud, I splashed back to the adobe, my soaked back tingling with an apprehension that refused to leave even after I closed the thick wooden door to the shack behind me. I lost the desire to visit the mission church that night, telling myself it would be better to wait until morning when there would be natural light. What a load of baloney. The building had small clerestory windows that admitted little sunlight. The interior would be dark and gloomy, no matter the time of day or night. I fixed something to eat and retired. Stealing in on the night, the specter crossed unknown dimensions to advantage my slumber and claim my unconscious. The Stygian presence roiled the swirling mists of my dream. Cold, prickling fear drew me halfway out of sleep, but my tormentor remained… subliminal, insubstantial, permitting only swift, fragmentary glimpses of himself. Dark, sharply planed features. Midnight hair leaking from a rough, brown cowl. Eyes as dark as the pit. I cowed before him, my nose stinging with the hint of something in the air. My ethereal visitor took on substance as he sought to commune, but the dream Theodore Oxley lay uncomprehending. The shadow that was not a shadow threw back the cowl covering his head, revealing shimmering features that steadied and took on form, drawing my breath from me. As he faded from the dream, his disappearance rekindled a vague sense of fear. He had failed to make known the reason for his presence. He would return. 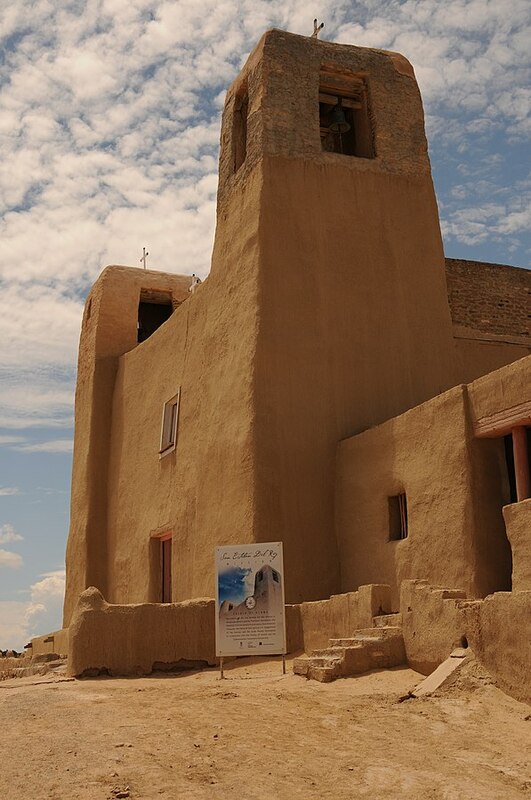 Sunlight filtering through thick, fast-moving clouds dispelled little of the old mission’s mysterious atmosphere. The damp morning virtually cried out for an Alba, that sweet, haunting Spanish paean to the Virgin raised by chanting voices of padres and Indian neophytes. But the hulking church remained silent, its adobe exterior slightly out of true, walls sloping inward as they rose. The only adornments were a simple cross at its apex and a rude cinquefoil above the flat, segmented arch of the entryway. The rude door carvings portrayed events in the life of the Saint. The world was totally silent when I turned the key in the old lock, but as I moved into the narthex, a nearby squirrel set up a noisy chatter. The first fresco, a busy one, spanned the wall above the entry to the nave. Faded colors I had expected, but a leak in the ceiling allowed water to stain the plaster and bleed the paint. Even in the gloom, I spotted a crack running diagonally across the piece. Passing through the narthex, I entered the sanctuary, a large, open chamber bare of pews or furnishings of any sort. Low-ceilinged aisles on either side held the Twelve Stations of the Cross in carved sandstone. The large mural behind the altar above the open chancel was arresting even in the dim, musty light despite its state of decay. Catholicism’s first Pope surveyed his New World converts through the large, liquid eyes of an Indian. This was not Italian Renaissance, but the flat style we now term Primitive, an art that relies on the clever use of color to bring the painting to life. Zia sun rays haloed the Sainted One, who was surrounded by the cloud and rain and rainbow symbols of his Native faithful. Even faded and in need of help, the fresco was awesome. I examined the disassembled, stacked scaffolding left for my benefit and built a skeleton framework before the main fresco. As I teetered at ceiling height to take the last in a series of photographs, a noise below startled me, almost causing me to fall. Clutching an unsteady upright for support, I glanced down upon a child gazing up at me. 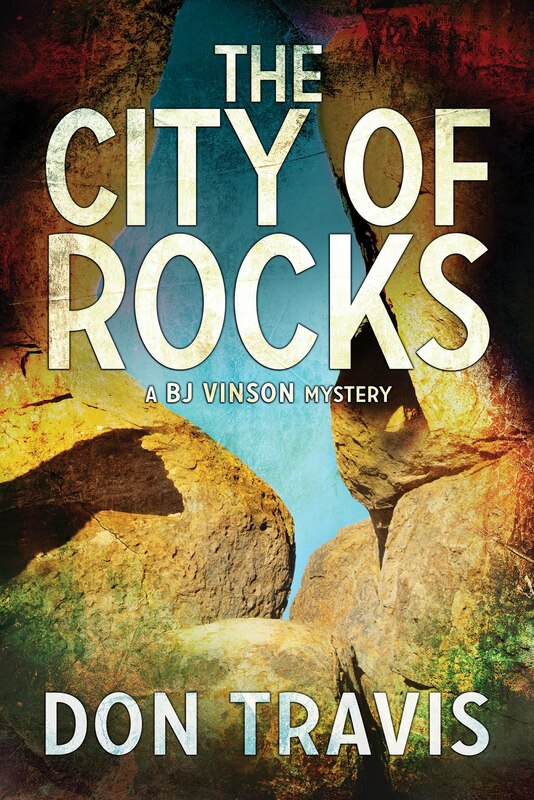 The youth extended a slender, muscled arm and accepted my hand, allowing me to do all the gripping. “Meet you,” he whispered in a throaty voice. I gathered there had been a “Glad to” in there somewhere. “I’m told you’ll help me from time to time?” It came out as a question more than a statement. The dark head bobbed, and he dropped his brown eyes before my curious examination. Had he haunted my dream last night? No, my impression of the mysterious watcher was of a taller, more mature man. Rodrigo must have been around twenty, yet he radiated the aura of a charming adolescent. “Would you like to learn a little about frescoes?” I asked to break the silence. The youth’s Adam’s apple bobbed. “I would like to be able to take care of El Señor.” It surprised me that he spoke of the Saint as he would the Lord Jesus. Are you spooked? I am, and so is Teo Oxley. Maybe Rodrigo can steady him a bit. More next week. Maybe we’ll find out who the specter is and what he wants. 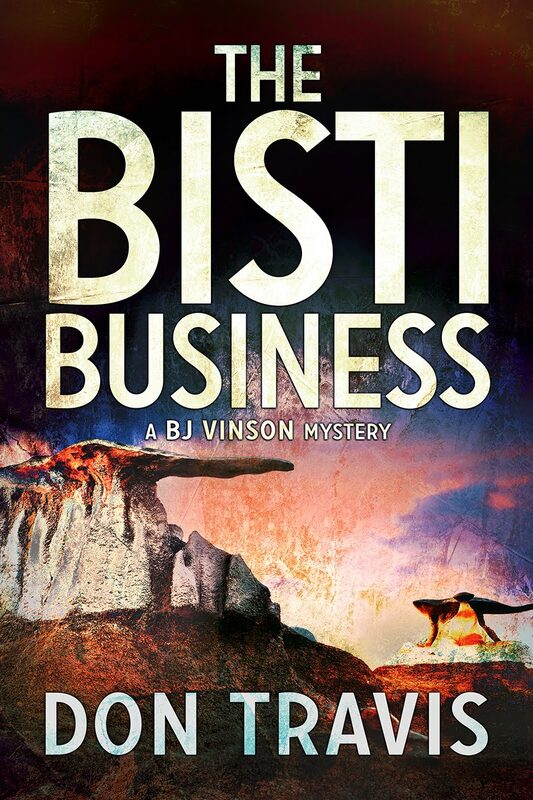 As noted last week, The Bisti Business was named as a finalist in the New Mexico-Arizona Book Awards in two categories: Best Mystery and Best Gay Book. Winners will be named in November.